Carol Therese Hofrichter, 53, of Deerbrook, WI, was born on December 30th 1965 to Lydia Hofrichter. She passed away in her home April 1st 2019. She is survived by her daughter Ashley (Eric) Clark, brothers Ted (Tanya) Hofrichter and children, John (Tina) Woltman and children and sisters Anne Hraban and children and Katie Hofrichter and children. 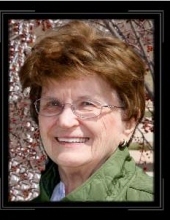 Carol was an avid gardener and had a great love and knowledge for all things green. Her pride and joy were her nieces and nephews whom she spent a great amount of time with and made so many wonderful memories beside. Carol was one of the most unique, strong, caring, and selfless women many of us will ever be lucky enough to know and love. There will never be enough words to describe her and she will be missed terribly every day. A small family wake is to be held at a later date.